Reiki I Inn is a simple and elegant property situated in Block C, Uday Nagar, Sector 45, Gurugram. The metro station in the vicinity is Huda City Centre Metro Station.The hotel has an attractive and beautiful decor. 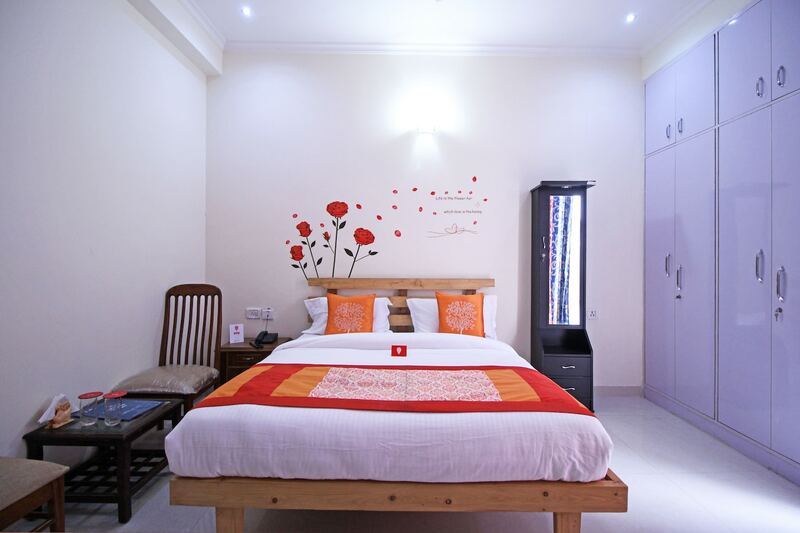 The walls have light hues on them which complement the bright colored artwork on them.Each room is equipped with an AC, TV, free Wi-Fi, and geyser. Other than these the hotel has a seating area and they offer power backup, parking facility, and laundry facility.The popular restaurants close by are Shugaa, Iddly Factory, Urban Kitchen, Flavours, and Nite Bites. Other than the eateries the shopping hubs in proximity are DLF Star Mall, Hongkong Bazar, Raheja Mall, Celebration Mall, and Coupon Dekho.